Alan has held just about every front of the house position there is in the restaurant industry, starting as a bouncer and barback at the venerable neighborhood bar, Pippin’s Tavern. From there he’s been a bartender, server, manager and general manager at some of Chicago’s best restaurants. 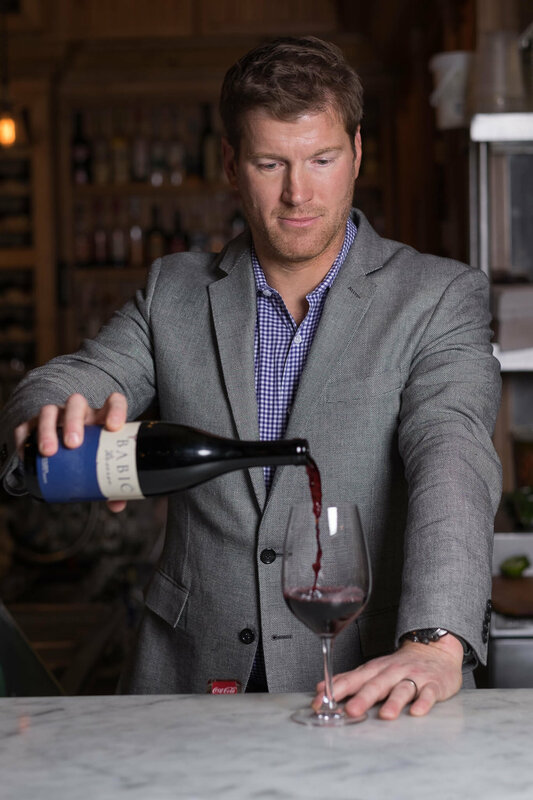 As a server at Boka, Alan got a taste of fine dining in a chef-driven restaurant and was exposed to his first serious wine list. Inspired, Alan’s next stop was at Cru Cafe where he worked with a passionate staff of oenophiles and started to seriously study wine. From there Alan moved on to NoMi at the Park Hyatt Chicago. Working as a Captain in one of Chicago’s most renowned dining rooms, Alan was introduced to the man who would become his wine mentor, Master Sommelier Fernando Beteta. Fernando taught Alan how to truly taste wine and encouraged him to seriously study wine, eventually leading him to become a certified sommelier with The Court of Master Sommeliers. While at NoMi Alan started to take an interest in craft cocktails and saw that as the next step in his development. Alan took a position as the NoMi lounge and garden manager where he collaborated with industry professionals like Master Mixologist Bridget Albert and Peter Vestinos to develop a progressive cocktail program incorporating house-made shrubs, syrups and infused spirits. Stepping away from restaurants for a brief time, Alan took yet another opportunity to learn more about wine and the wine making process for a pioneering wine distributor, Tenzing Wine and Spirits. There, he worked with two other Master Sommeliers, Ken Fredrickson and Douglas Marello. Restaurants were always his true calling and Alan found a home at The Purple Pig in 2012. Working behind the bar, Alan found the perfect combination of great service, food, wine and cocktails in a warm, energetic environment. When the opportunity to run the beverage program at The Purple Pig presented itself, it was a dream finally realized. What has always drawn Alan to restaurants is the feeling of collective joy shared by people over a great meal. Alan’s approach to hospitality is perfectly suited for The Purple Pig: easy and unpretentious. He believes wine tastes best when it’s paired with great food and shared with friends. He tends to focus on terroir driven wines, produced in the simplest way, showcasing the fruit and its origin, which fits beautifully with Jimmy Bannos Jr’s cuisine. To him, a sommelier is not someone in an impeccable suit with an air of pretension, but a Master of Ceremonies with a bottle, ensuring that everyone has a good time. At The Purple Pig, friends and sometimes complete strangers, come together to enjoy amazing food prepared by our James Beard Award-winning chef. Alan’s mission is to be right there to help select the perfect bottle to go with it. We are excited to have Alan lead our incredible team of service professionals, taking the art of hospitality to a new level. Copyright 2018 - The Purple Pig. All Rights Reserved.